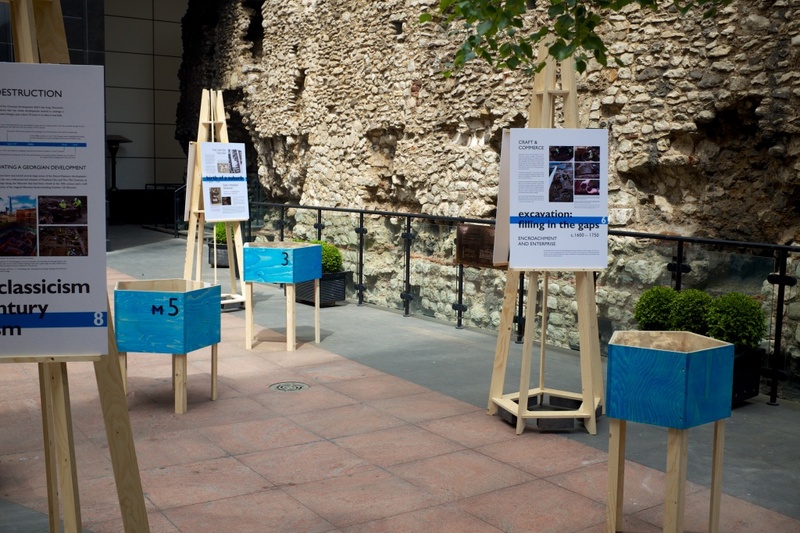 CITE AS: The 100 Minories Team, "MiPUM Panels 19/6/15," in 100 Minories, June 26, 2015, https://100minories.lparchaeology.com/the-minories-interpretive-panels/dscf3979/ [Date Accessed: April 23, 2019]. Final product of the MiPUM panels, on display at a 100 Minories Pop Up Museum 19/6/15. Photo: Guy Hunt.